Margaret received her Master of Science degree in Acupuncture from the Swedish Institute, College of Health Sciences in New York City, where she trained with Dr. Jeffrey C. Yuen, renowned Chinese physician, teacher and 88th-generation Daoist priest. After graduating in 2007, Margaret continued her studies with Jeffrey Yuen, completing extended courses in Chinese Medical Aromatherapy, Chinese Dietary Therapy, and Advanced Acupuncture. 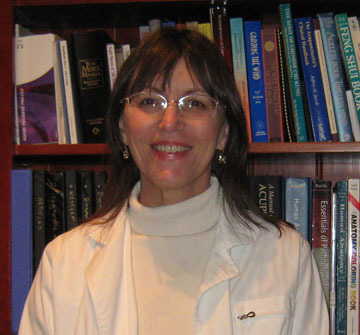 She is certified by the National Certification Commission for Acupuncture and Oriental Medicine and is licensed to practice Acupuncture in New York State. In 2010 Margaret relocated to Peekskill, NY's vibrant downtown Artist District. She frequently speaks on Acupuncture, Aromatherapy and Self-help Acupressure. A long-time practitioner of Taiji and Qigong, Margaret holds classes and practice sessions at her Peekskill loft and at the nearby Energy Movement Center.